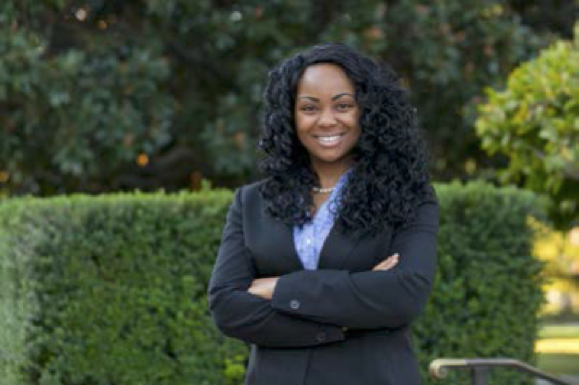 CUSA caught up with former center researcher Jannelle Watson last year about her history with the center and the proactive policy-making she is involved with now. A: During my time at CUSA I worked with Beth Karlin on the Invisible Children research team under Professor Richard Matthew. At that time Invisible Children’s success in creating a social movement had been well documented, but little was known about the organizations impact on the lives of its participants. As a research assistant I helped create a survey, which consisted of a list of multiple choice and open-ended questions that asked individuals about their past and current involvement with Invisible Children. This survey was distributed to high school students who were involved in the Invisible Children movement either through fundraising efforts, creating a club on campus, arranging film screenings and various other activities. Based on our team’s findings, I helped analyze the impact Invisible Children’s documentary films had on shaping high school students’ knowledge, engagement, and empowerment. In addition, I was a team leader for Professor Matthew’s Sustainability course. Through the course I helped manage the final research report on pathways and exposure among youth involved in the Invisible Children movement. I assisted students in their final project, which consisted of an analytical report of the different pathways students take to become involved in Invisible Children. This information was used to create a program evaluation of the impact of participation in Invisible Children’s programs on youth volunteers and viewers. My work allowed me to receive hands on training in program evaluations and NGO consulting work. A. One of the highlights of my time working with CUSA was being able to attend the Invisible Children Fourth Estate Leadership Summit in San Diego. During the conference I was able to interact with young leaders and activist from around the world as we discussed the millennial generation’s role in global justice and international humanitarian efforts. Through my attendance I was able to gain the tools necessary on how to raise awareness and document injustices that can be used to help protect vulnerable communities and rehabilitate victims. I plan to use Invisible Children’s model of media, mobilization, protection and recovery as I continue to address social injustices in my own community and throughout my career. A: Since leaving CUSA I have worked with the Directors Guild of America in their Contracts and Diversity Department. After that, I moved to the East Coast where I decided to pursue my passion for politics and public policy. I was selected for the Congressional Black Caucus Emerging Leaders Program in the Office of Senator Kirsten E. Gillibrand where I worked as a congressional and press intern. After that, I worked in the White House as the Chief of Staff Intern for the First Lady Michelle Obama. In addition, I was selected as a Running Start Star Fellow, which is a non-profit organization that helps prepare young girls and women to run for elected office. Currently, I am an Executive Fellow through the Capital Fellows Program under Governor Edmund G. Brown Jr. and working with the Business, Consumer Services and Housing Agency. My role in the agency will allow me to address affordable housing issues for low-income families, as well as the enforcement of licensing procedures for businesses and professionals in California. A: Never be afraid to step out of your comfort zone and take risk, but most of all remain humble and be curious!